What a foodie town you guys!! 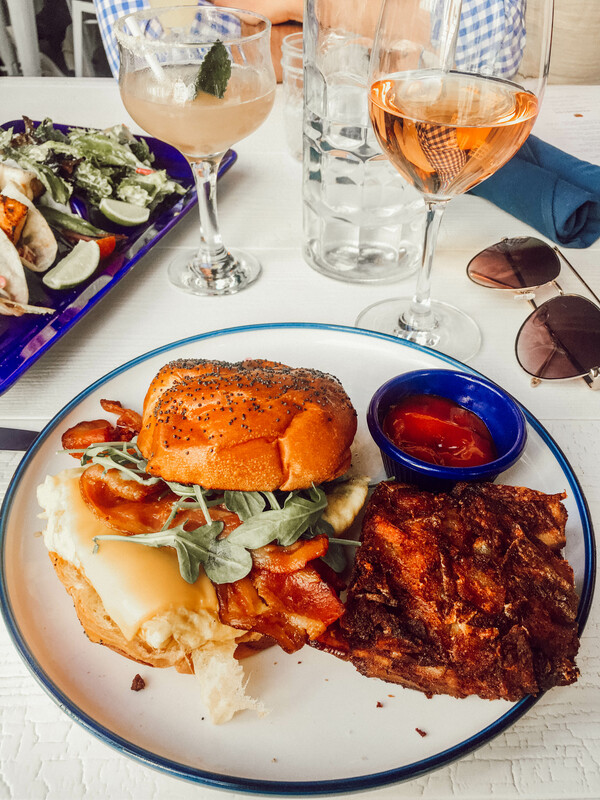 If you are ready to chow down, Chicago is the city for you. Between the hotdogs and deep dish, I had to waddle my way outta there (lol). 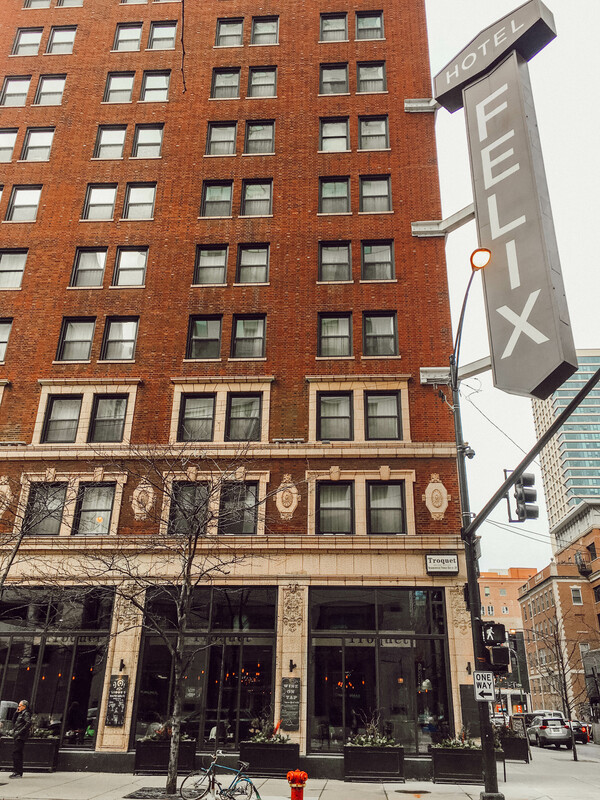 I’ve complied my top food recommendations from my recent trip to Chicago and will continue to update this list as I go back. Before I get into all the yummy food that Chicago has to offer, I wanted to point out that most resturants don’t offer seperate checks. In Houston, that’s never a problem so I thought I’d note it. So, be prepared to pay together (you can always venmo each other after like we did). 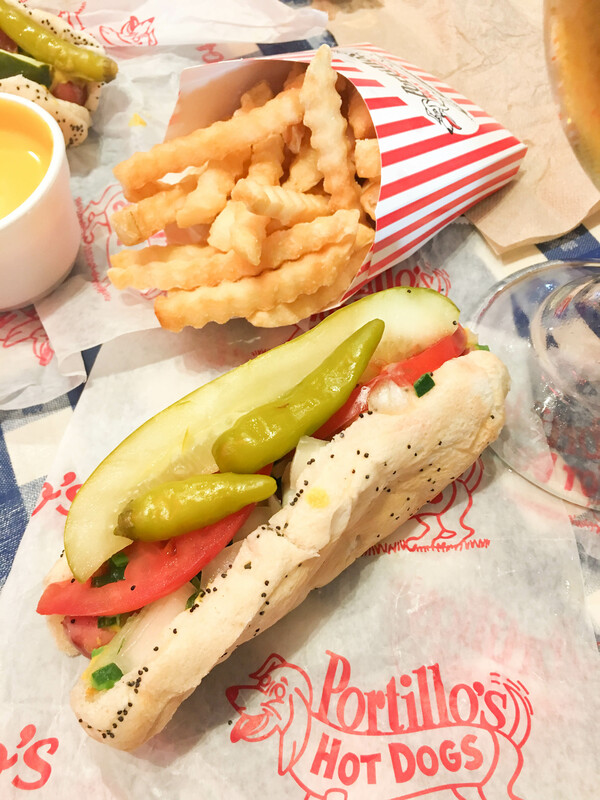 Portillo’s (multiple locations) – Counter service and super cheap! My hot dog was less than $4 and a huge beer was $5 (score!). I daydream about this place now. It was so good, I regret not going more than once. The Hampton Social (353 W Hubbard St) – Full service and I would make reservations. I’ve seen this adorable restaurant all over Instagram and Pinterest. Highly recommend going for brunch and getting the Rose’ of the day! 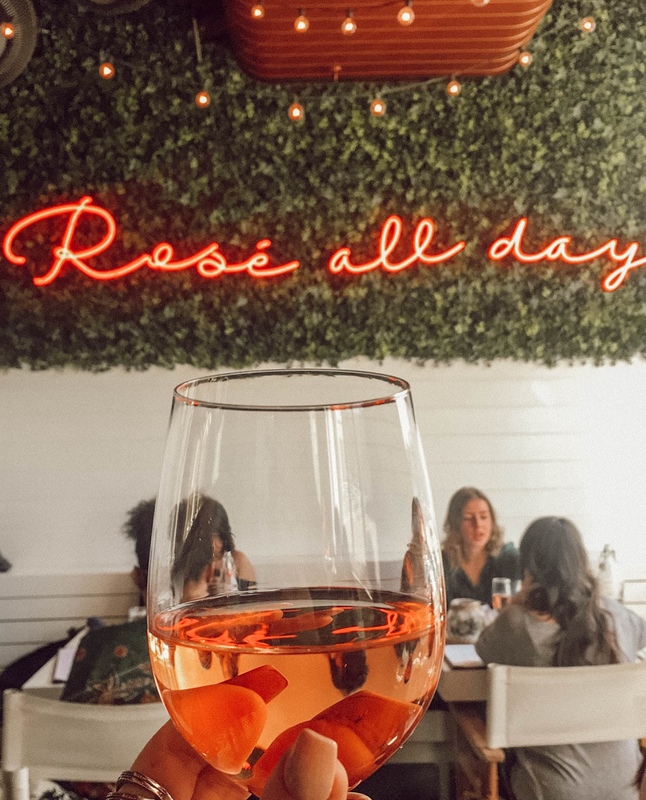 Sidenote: If you want Rose’ by the glass they have a daily special, all other Rose’ is served by the bottle. 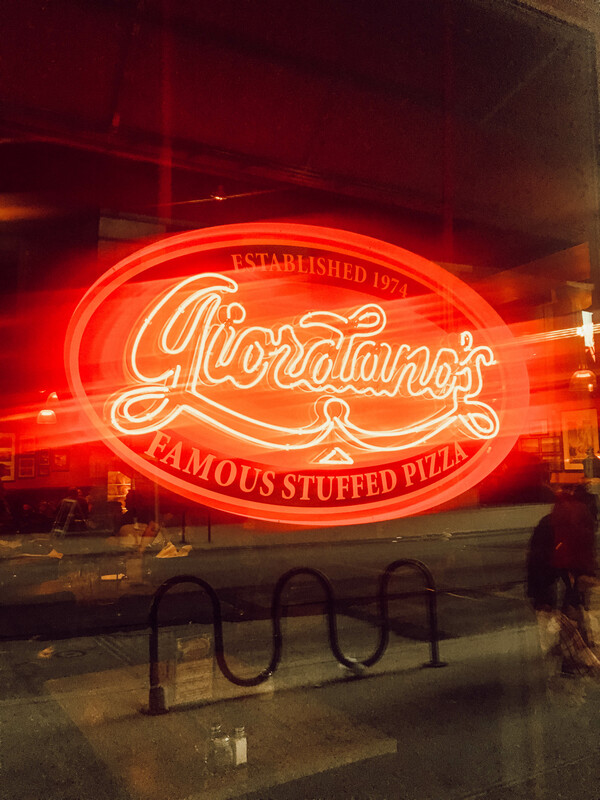 Giordano’s Pizza (multiple locations) – I was told this was the best deep dish place to try in Chicago and I wasn’t disappointed! Kinda a long wait but they let us put in our pizza order while we had a drink at the bar, so the pizza was ready about the same time we were sitting down. Not bad at all! 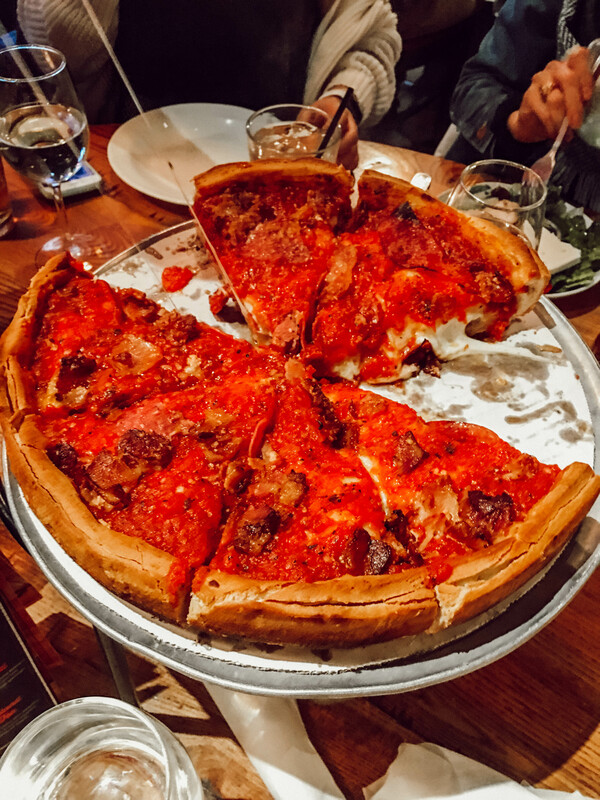 Lou Malnati’s (multiple locations) – We didn’t go here but I was also told that this is the best pizza in Chicago. I will try on my next visit and let y’all know what my verdict is lol. Pizzeria Uno (29 E Ohio St) – I was told by the locals that this pizza isn’t the best. 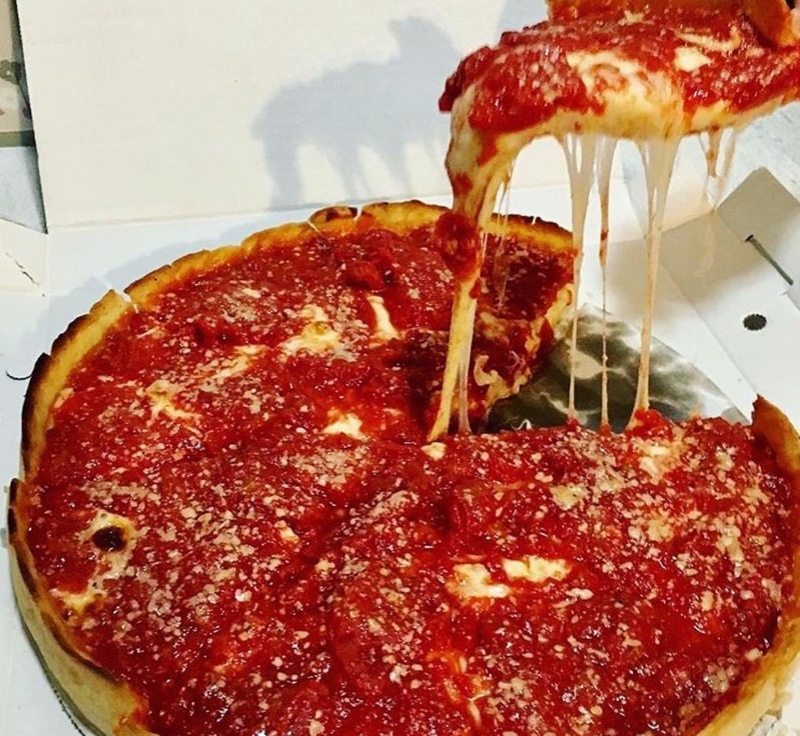 However, it is the birthplace of the deep dish pizza, so I definitely want to try it next time! 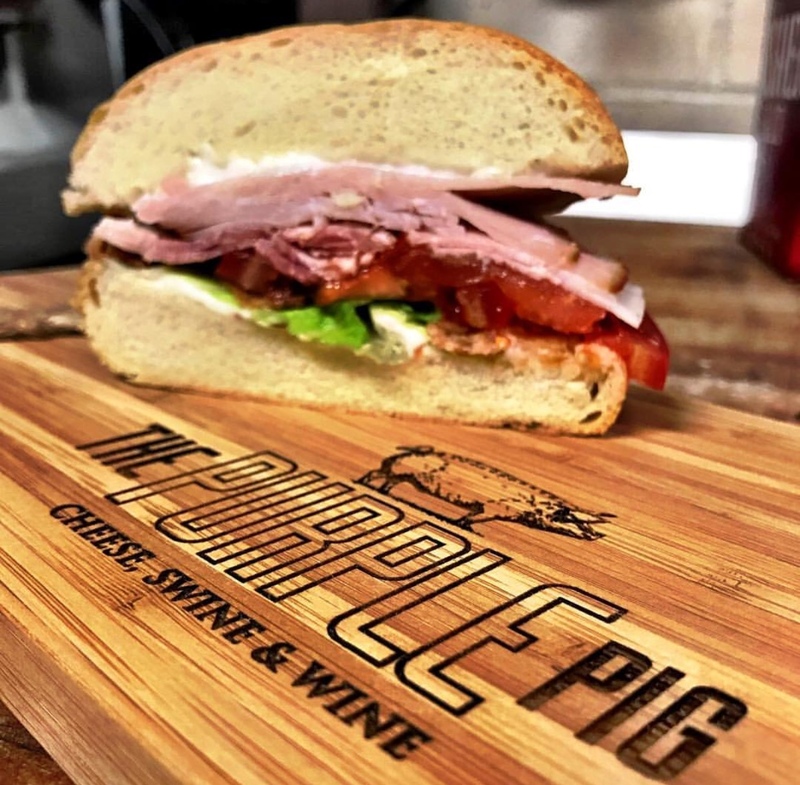 The Purple Pig (500 N Michigan Ave) – Another one we didn’t make it to, but it was hands down the most recommended place I got on Instagram. 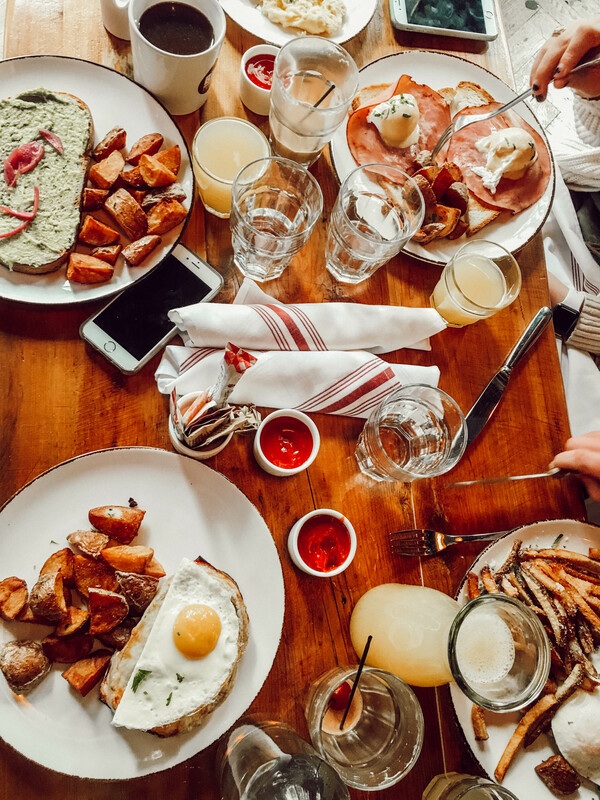 Troquet (111 W Huron St) – Located inside Hotel Icon and I can’t recommend it enough for a boozy brunch. The food was delicious and for only $27 bucks it includes an entree and bottomless mimosas. We couldn’t get a reservation for a party of 6, but we just went 15 minutes before they started serving brunch and were able to get on the list. If you enjoyed this article, check out my Weekend Guide to Chicago & Happy travels y’all!